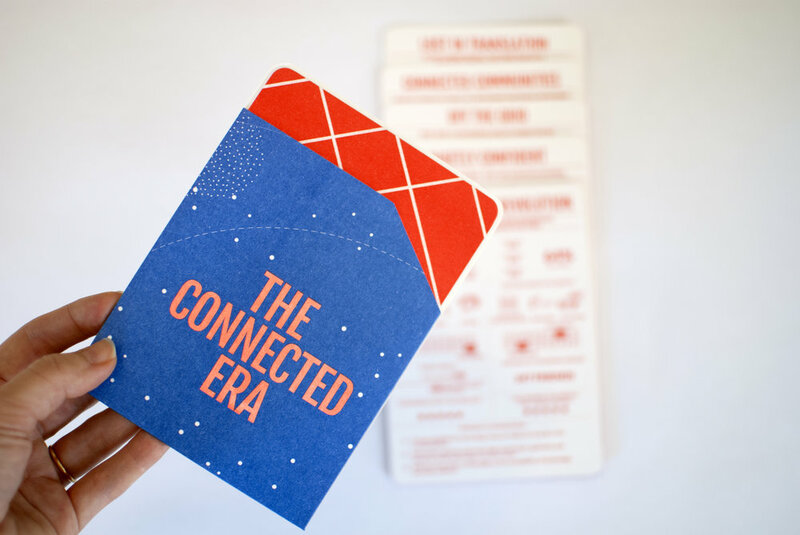 The Connected Era, was an in-house project at Sparkler. The project was about showing the segmentation of technology adapters in our modern and future world, and what each group represents. 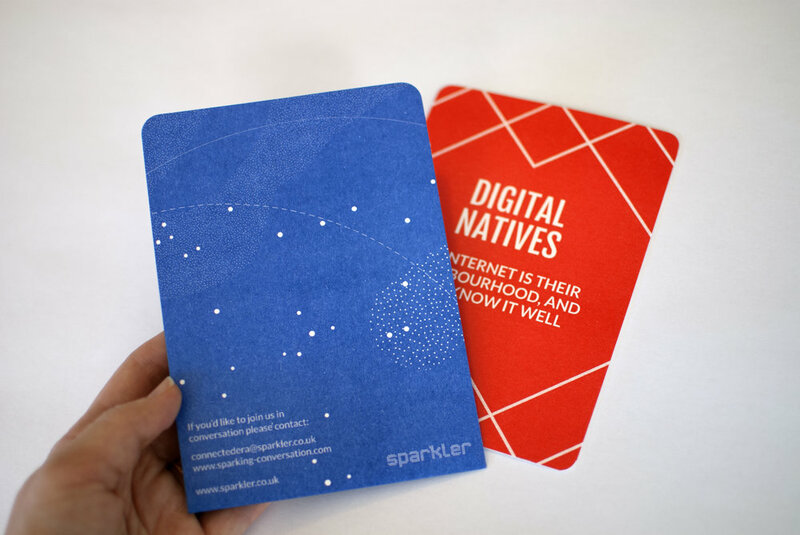 The team and I developed both an interactive website and printed leave behind cards shown here. Printed using Risograph printing, folded pocket with card inserts.